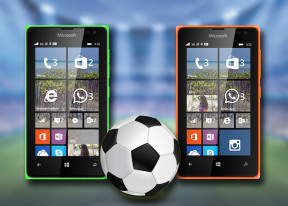 Microsoft Lumia 435 comes with a 2MP fixed-focus snapper, while the Lumia 532 offers a 5MP one, still with fixed-focus. Both phones lack LED flash and a secondary mic for stereo audio recording. The Lumia camera interface is very familiar - it offers white balance, ISO, shutter speed up to 1s and exposure settings. Additionally, you can get more camera functionality via Lenses, such as Cinemagraph (animated photos), Panorama, Selfie, etc. The 5MP images taken with the Lumia 532 turned out decent for the resolution, with reasonable amount of resolved detail. Contrast is good, although more often than not the white balance is off. Noise is dealt with nicely and generally we are happy with the overall processing. The 2MP shots taken with the Lumia 435 have less detail, more noise and noticeable pink tint in the center. Those will only do for occasional social network sharing unless you decided to shoot something up close, because of the fixed-focus camera. 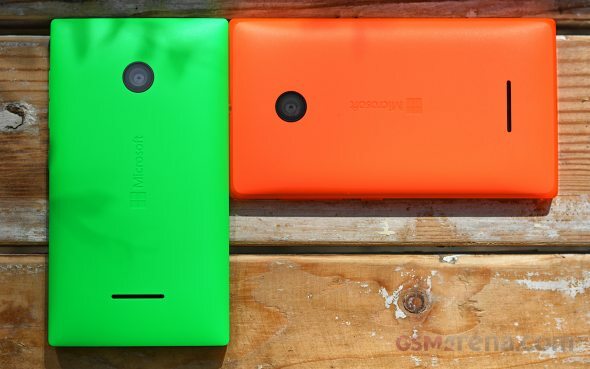 You can check the Lumia 532 in our Picture Compare Tool, too. Both Lumia 435 and Lumia 532 camcorders can record video at FWVGA@30fps (848 x 480 px), with a low 3Mbps bitrate. The videos are recorded in a single channel AAC mode with a 160Kbps bitrate and 48KHz. The camcorder interface is pretty much the same as the still camera. But you are able to choose the audio bass filter (off, 100 Hz or 200 Hz). Opting for 200 Hz (Strong) will capture much better sound in concerts or clubs. The captured videos are nothing to barely worth much discussion. They resolve unimpressive amount of detail, the colors are warmer than they should be and the white balance is off. The Lumia 435 keeps the pink tint even while recording videos, too. Here are 30s samples we've uploaded on YouTube. Also here are untouched 480p@30fps video (Lumia 532) and 480p@30fps (Lumia 435) for you to download.